Music composed by HARPS. Lyrics written by Julien Rolland. Produced by HARPS. Tracks 1 and 7 include a sample of Carl Sagan's "Cosmos". All rights reserved. HARPS is Julien Rolland, Jérôme Richelme and Matteo Tessari. Recorded live in France at Melodium Studio by Jérôme Richelme, assisted by Christophe Stenström and Arthur Meyer. Mixed by Jérôme Richelme. Mastered by Florent Sabaton at Color Sound Studio. Original artwork by HARPS. Special thanks to Christophe Stenström, Arthur Meyer, Nicolas Dufournet and our families for their love and support. HARPS was formed in the early 2010s in Paris by Julien on the guitar and vocals, Jérôme on the drums, soon to be joined by Florent on the bass. HARPS had just released their first (self-titled) EP when Matteo came and replaced Florent on the bass, bringing his own sludgy sound. The band naturally evolved to a more solid and fuzzy Post-Rock/Metal genre, tempered by psychedelic parts. Influenced by such various acts like Neurosis, Boris, Mogwai, Soundgarden and Pink Floyd - to name just a few - HARPS has always been willing to take some distance from their holy mentors and propose an original and very personal idea of their own music. Their first album "ORDERINCHAOS" was inspired by all the elements which constitute the cosmos and the way they have been arranged so far in their final form of beauty, magnificence and death. 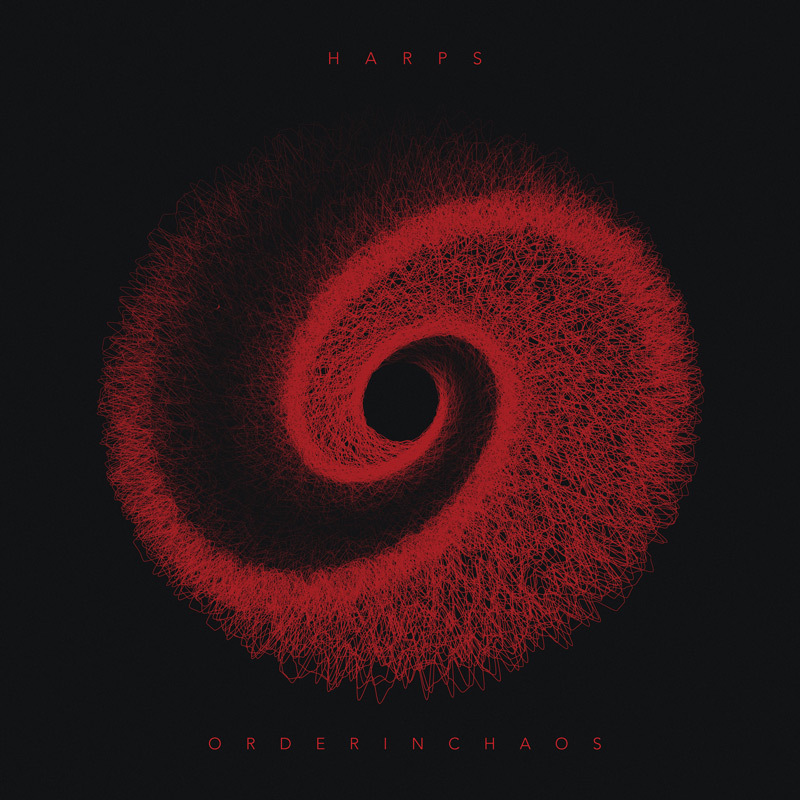 "ORDERINCHAOS" is coming September 7th for streaming and download on all digital stores, including Bandcamp (name your price). Featured on "Steady Gaze of Nothing - A Reverence to Fugazi"
© 2018 HARPS. All rights reserved. Photos by Damien Richard. Web design by HARPS.